"I was the only one…I felt all alone…Not a single person said hi to me..."
These are all words that we, as camp directors, hope we never hear come out of the mouths of our campers or staff as they reflect upon their experience at camp. Camps are known as friendly places. However, counselors and campers do sometimes slip through the cracks as their needs go unnoticed. Having mentors for both campers and counselors at camp can help foster a more positive environment for everyone. The purpose of this article is two-fold... First, to discuss the importance of mentorship, and second, to give practical examples of how counselors and directors can engage and help embrace new comers into the camp world. Advisor/Counselor: Someone you feel like you can go to with any situation whether good or bad, who will rejoice or help you through your frustration. A mentor is just that, serving as both an advisor and counselor to people. Trustworthy: Mentors are often considered to be wise and trusted, often serving as a teacher or trusted counselor. A mentor must first and foremost be someone who can be trusted. Being available and willing to listen is essential. However, having a trustworthy relationship where someone feels they can really share is the most important aspect. Wise: Mentors are people who possess knowledge and experience in similar areas of life. They have the right answer to those impossible problems and often help us see the situation for what it really is. Mentorship is signified by a relationship and is the process of an older or more mature person guiding another through the situations life presents. Furthermore, there needs to be a continuous chain of mentorship. I mentor many young people but also have a mentor myself. Having a mentor allows us to learn from someone who has been-there-done-that-got-the-t-shirt-and-has-the-photo-album-to-prove-it before us. A mentorship can sometimes be mandatory, while other times mentor relationships naturally evolve. 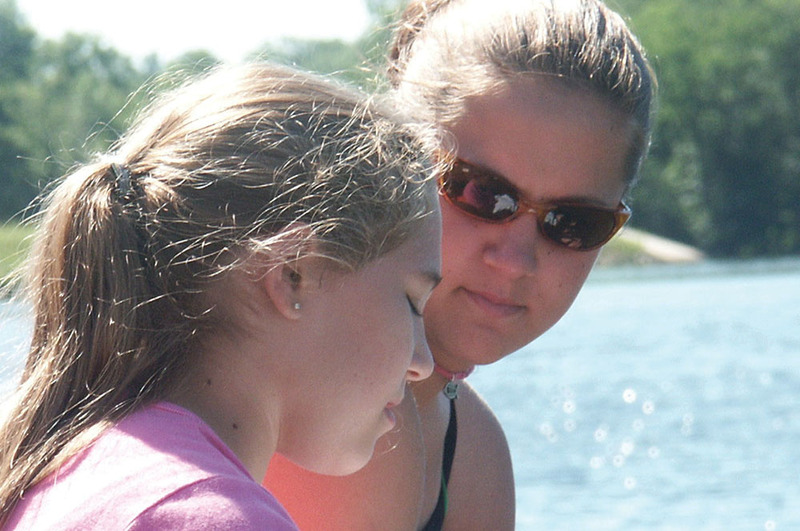 Here are a few suggestions to make mentoring more tangible for camp directors to use to mentor their counseling staff as they mentor their campers. Get to know them: Find out where they come from and what interests they have. This sometimes is most easily done through an activity which allows you to spend time together. Be intentional about asking questions. Be selfless: Being a mentor requires a selfless ambition but will also yield its rewards over time as you too will always learn from the one you mentor. Go into your time realizing this is for the other person but know that you too will reap great benefits from this relationship. Giving a person you undivided attention and showing you are listening is a great way to show someone you are there for them and are sincere about your role as a mentor. Set goals: Sooner rather than later, as you learn how to challenge the person you are mentoring, encourage them to set goals. It wouldn't be a bad idea to do it together, both writing down what you want to improve on or accomplish. One-on-one conversations: These are essential to develop and build a relationship of trust and confidence that is the foundation of all mentoring situation. Camp days, by their very nature, tend to be packed with activities and functions. The demanding schedule can make it difficult to find time to talk with a camper or a counselor one on one. Despite what you might think, even among this schedule, there is time for personal interactions with those you have taken under your wing. Walking to and from activities are great times to ask intentional questions. During quiet time, early in the morning or during free time for the campers are a few suggestions to get you started on where to find time in the fun-filled camp day. Follow through: Nothing says you have listened more than a quick note or word shortly after you have had a good conversation or encounter with someone. Words of encouragement almost always brighten up a person's day. With experience and age comes the patience and understanding that is sometimes needed when people may be spilling their guts about what isn't going well in life. A mentor can possibly also serve a role similar to an administrator. Just when you think there is no good solution to a problem, your administrator takes what he has to work with and creates a situation that is even better than you imagined. An administrator is capable of opening the doors to unseen possibilities and helps in making things happen. A mentor is someone who can help you to see the forest when you are stuck among the trees. The purpose of being a mentor must be strictly selfless. It is well known that when you give thinking of others solely and not yourself you too will receive gifts of some sort from your actions. Mentorship is one way to foster a healthy and friendly environment for both campers and counselor both familiar and new to the camp community. Making personal connections and giving back to others is a great way to invest in others. Knowing all this it is easy to see that mentorship and camp go hand in hand and make learning more meaningful and memorable. Jennifer Mathewson has been involved in camp for her whole life in the capacity of camper, counselor, wilderness guide, and leadership team. Jennifer is currently pursuing a masters degree in physical education at Springfield College.